Coffee pod machines are becoming very popular in the home and small office coffee market. Being easy to use and clean, it is no wonder that they are gracing the countertops of most homes around the country. It seems like overnight the coffee pod market just popped up from nowhere and with so many brands and machines now appearing in stores every day, it can be a little overwhelming when deciding which brand or machine to choose. Coffee pod machines are often single cup coffee makers and with so many different flavors, strengths and various coffee and non-coffee drinks available, a pod machine is perfect for those who love the convenience of having machine made coffee without needing to spend lots of money on a coffee machine for gadgets that you just don’t need. Coffee capsule machines have been around for a lot longer than you may think. The first capsule single serve coffee maker by Nespresso hit the office market in 1986 in Switzerland, Japan, and Italy with the brand expanding globally in 2006. 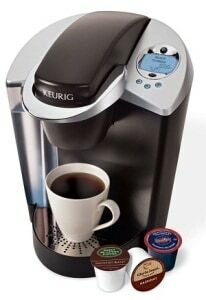 During this time, one of the first coffee pod machines to hit the American market was the Keurig B2000 brewer. This first single cup coffee brewer was made for the office environment and launched in 1998 after five years of planning. But it wasn’t until 2004 that the K cup phenomenon really took off with Keurig launching their first single cup coffee brewer for home use; when this occurred the market changed forever; so much so that there are over 20 million machines gracing the kitchen benches in America alone and causing the Keurig or K cup brand to be a household name. From here, coffee pod brewers have spread around the world with companies such as Delonghi, Hamilton Beach, Saeco and Lavazza also expanding into this market with their own single-serve espresso makers and various pod and capsule options. Today although just about every big name coffee brand has their own coffee pod or single serve coffee maker available for sale, very few have been able to compete with K cups when it comes to the variety of coffee flavors and the ability to make other beverages as you can with the K Cup machines. Coffee pods and coffee capsules… Do you know the difference? When you are looking at coffee pod machines you may be wondering why some say they take coffee pods and while others say they take coffee capsules. Is there a difference? There are a few differences between pods and capsules and while the names are usually interchangeable, the products are different. A coffee capsule is a vacuum packed foil capsule that requires the use of a capsule coffee machine in order to produce your perfect brew. A coffee pod, on the other hand, is a round pod, usually made in a material similar to a tea bag that is placed into a filter for brewed coffee. There is also a difference in the way they are produced. The capsule is vacuum packed in single serves which helps maintain the integrity of the coffee; by avoid excess moisture, exposure to light, heat, and oxygen. As any great lover of coffee knows all these elements can affect the production and taste of your coffee. Coffee pods are also packed in single serves but are pressed between two sheets of paper. They both contain a similar amount of coffee, with the pods often containing 7g of coffee and the capsules containing 5g-7g of coffee. Then there is the taste difference. A coffee capsule usually has water pushed through, similar to the way water pushes through a filter in a manual coffee machine; whereas a coffee pod is brewed over a period of time and is better if you want to control the strength of your coffee. 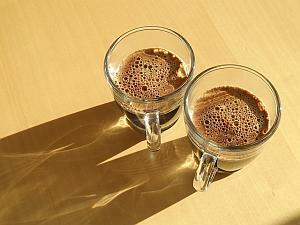 In Australia alone, the single serve espresso coffee market is growing rapidly. In 2013 Australians consumed close to 1500 tons of capsule-based coffee – that’s close to $134 million dollars’ worth of coffee. In the same year, half of the fresh-ground coffee sales in Australia were from capsule-based coffee. With more and more people consuming coffee and in larger quantities you can expect a rise in the sale of coffee capsule or coffee pod machines. This expectation was realized when in 2014 the sale of capsule based machines rose just over 20% in Australia alone. Around the world, there are some popular coffee pod machines and coffee capsule machines. Some machines use both capsules and pods while others are solely designed to use one or the other. Some of the most popular machines include the Keurig K Cup, the Delonghi Espresso pod machine, Lavazza espresso machines, Hamilton Beach pod brewers and the Senseo pod brewers. Before purchasing your next single serve coffee machine an important consideration to look into is whether the machine will only allow you to use one type of pod/capsule system or whether it allows for multiple branded coffee pods to be used with in your coffee pod machine. Such an example of this is Nespresso coffee machines and the latest K Cup coffee brewers (Keurig 2.0). They were designed to only allow for their specific brand and range of coffee pods to be used within their brand name coffee pod machines. This restriction means that you are tied to using their coffee pods and drinking their brand of coffee. In effect buying a customer for life; and limiting your choice of price point, flavor and beverage options. Whereas other coffee machines have been designed to allow for use across various brand names; which does not limit you to only being able to consume one type or range of coffee. Other brands include Melitta pods which are compatible with the Hamilton Beach and Senseo pod brewers; Senseo pods which work with some of the Hamilton Beach pod machines. The Tassimo pods which work with the Tassimo machines and come in a small variety of flavor and roast options from various coffee producers; Wolfgang Puck which have specific capsules available for use with K Cup brewers or pods available for various brewers; or Ese espresso pods which can be used in place of loose coffee grounds in manual coffee machines. 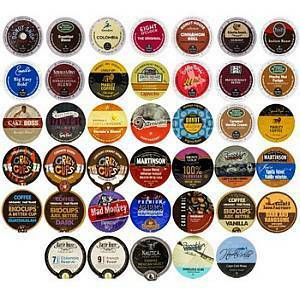 Since coffee consumption is on the increase many of us like to buy our coffee pods in bulk. So, if you are looking to buy cheap K cups or K cups in bulk it is certainly worth shopping around as many coffee producers make capsules which can be used in the K Cup coffee maker. Similarly, if you are using something like the Delonghi espresso capsule machine, you may also be able to find much better pricing if you shop around and search online. So when you are next purchasing your coffee pod or capsule machine it is recommended that you check out the different types of machines along with the different brands of pods or capsules that may or may not be accepted by the machine. By checking this feature with your coffee machine it will limit the surprise further down the track so that you do not get a rude shock when your favorite brand of coffee cannot be extracted in the pod machine you bought. My suggestion is to start from here and then work out the type of machine and price range. 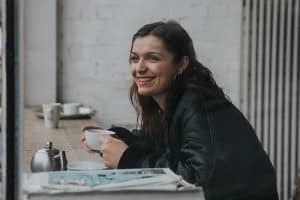 By doing so you are not limiting yourself to three or four different types of coffees when there are so many options out there; and more to come. If you have been looking around for a while you might be wondering how to choose the best coffee pod machine out of all of those on the market. Firstly you want a quality built machine within the price range you can afford. There are many cheap capsule and pod machines available but if you are looking for something to last, you will need to go with some of the more reputable brands; those that have been around for some time. You will also need to decide if you want a machine that takes capsules or pods. Capsules are probably easier to come by in many different flavors but as mentioned previously you will want to check out what type of pods the machine can and can’t take. If you don’t want anything fancy and just want a plain coffee in various strengths, a pod machine may be best. Something else to keep in mind is the price of the capsules or pods – sometimes these can be quite expensive hence why it is best if the machine you buy can take pods or capsules made from various companies, rather than just being limited to one or two; this will allow you to shop around for the best-priced pods or capsules. And finally you need to know whether the coffee machine you buy will fit into your kitchen space. A coffee pod machine can be a great addition to any kitchen or small office and with so many options available ranging from the machine itself through to the variety of coffee pods or flavors of the capsules; you will certainly find something suitable for you or your loved one.